"Prompt, dependable and all the extra services like crane operation make Division 7 our roofer of choice. " "Your entire roofing team has worked diligenty and safely to help prepare our new facility in adverse weather." "...everything looks wonderful on the Client Portal!! 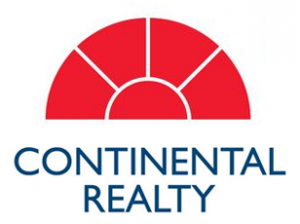 I looked through everything and can definitely see how beneficial this will be for all of us at Continental Realty!" North Central Mental Health Services, Inc.
"I LOVE LOVE LOVE the portal! It sure will save all of us a significant amount of time with the streamlining this enables. Wow, love it!" "If you have a roofing project there is none better." "We use Division 7, they are beyond FABULOUS!" "Frankly, I can't thank these guys enough for their help. Vicki and I now consider Jack and the teams as "family"." Division 7 Roofing was "...always on budget and without additional surprise costs." "The Hobby Lobby manager at Coldwater is impressed with my new roofing company!! This makes me happy." "I have recommended your company and will continue to do so based on my positive experience. Thanks for an outstanding job! " "With our millions of square feet of roofing and it's challenges, you are our single source for all roof repair, replacement, analysis and much more. " "Thank YOU all for taking such great care of our facilities! " "...you have always been timely in providing roof assessment quotes... you remain our go to roofer." Contact our roofing company to see how we can improve the value of your building with a new roof. We proudly serve clients throughout Columbus, Ohio and the surrounding areas. addition to Indiana & Kentucky. Copyright © 2019 Division 7 Roofing. All Rights Reserved.